Cuba boasts beautiful beaches to soak up some sunshine, from Playas del Este near Havana, where the locals play, to exclusive island resorts like Cayo Coco. Santa Maria offers soft sand and turquoise waters just 20 minutes from Havana, while Playa Ancón near Trinidad, and Playa las Tumbas on the Guanhacabibes Peninsula, a UNESCO biosphere, are both picture-perfect. Saddle up and gallop through the scenic sugarcane fields around Trinidad and the Valle de Ingenios, or the hills, tobacco fields and valleys of Pinar del Río. At the likes of Rancho La Guabina, adults can try their hand at playing cowboy with lasso lessons, while Kids love pony rides offered at bigger Havana parks like Parque Almendares. Enjoy outstanding views of the Valley of the Sugar Mills from the Torre de Manaca Iznaga – a former slave watchtower by an old plantation house-turned restaurant. At the foot of the structure, the large bell that sounded in warning if a slave tried to escape still lies on the ground – a reminder of a sobering past. Follow in Hemingway's footsteps with a pub crawl to his favourite haunts, having a daiquiri (or three) at El Floridita and a mojito at La Bodeguita del Medio. Follow up with a visit to his suite at the Hotel Ambos Mundos, where he penned part of For Whom the Bell Tolls. Wander around the Castillo de la Real Fuerza and its new shipwreck museum. The oldest of Havana's three forts is still standing because it was, to all intents and purposes, built in the wrong place. Pinar del Río is arguably Cuba's most beautiful province, and its most outstanding feature must be the mogotes: oddly rounded limestone mountains, covered in lush vegetation. There is beauty below the surface too; the caves here are awash with stalactites and stalagmites, and underground rivers. 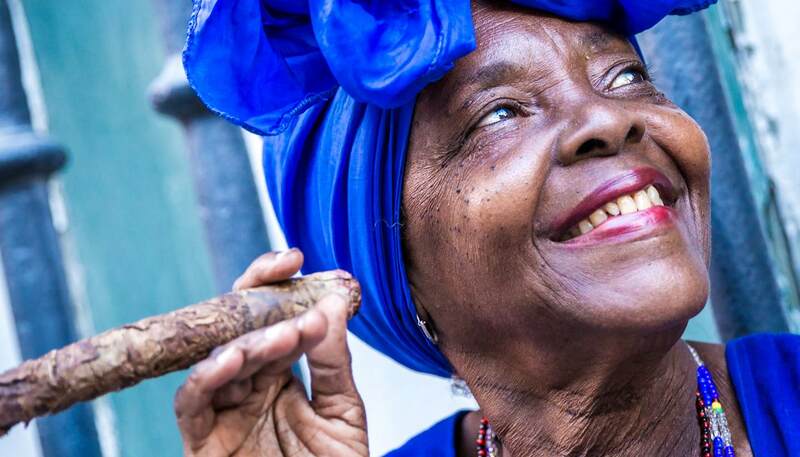 Experience the country's best musicians and dancers hard at work in Santiago de Cuba. Don't miss Ballet Folklorico Cutumba – their Afro-Cuban performances are simply spectacular – and the city's annual carnival, a vibrant celebration of colourful costumes, choreography and traditional conga music. Visit the Museo de la Revolución for a historical context of modern Cuba. Outside is the Granma, a cabin cruiser built for 12 people. In 1956, 80 exiled rebels (both Castros and Ché among them) came perilously close to sinking the overcrowded yacht, as they sought to return to Cuba. Take an emotional journey to the museum at Playa Girón, scene of the US-backed Bay of Pigs invasion in 1961. The display includes tanks, aircraft and personal items from the battle's victims. Far from the Cold War, Playa Girón's warm waters offer much for scuba divers, with flooded caves, a sea wall and superb visibility. 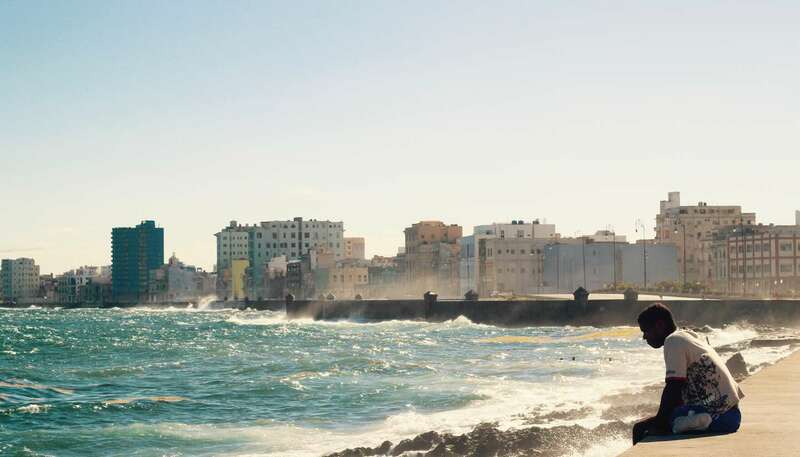 Join fishermen, families and couples, and take a stroll along the Malecón, the sea wall that links Old Havana to the western edge of Vedado. Careful though: during high seas and storms, the surf surges over the wall and the boulevard is sometimes closed to traffic as a result. Visit the Museo Emilio Bacardí in Santiago de Cuba ("the heroic city"). It contains the rum magnate's collection of antiques and fine art and the Moncada Barracks, where Fidel Castro launched an abortive uprising in 1953. The Castillo El Morro is now a museum of piracy. Head to the Plaza de Armas in Old Havana for a glimpse of colonial majesty at the Palacio de los Capitanes Generales, former residence of the Spanish Crown's representatives. Now the Museo de la Ciudad, treasures include a leather cannon and a throne room built for the Spanish monarch but never used. Live the high life in Havana's Vedado district. The Hotel Nacional has hosted gangsters and film stars and is well placed for a mojito, as well as carnival processions along the Malecón. For a taste of the traditional, try a chilled daiquiri in one of the leafy patios of the Old Town. There are 30 dive sites at Varadero alone and more reefs around Isla de la Juventud – the inspiration for Treasure Island. The island offers few crowds, bountiful marine life and the chance to wreck dive. One of the world's biggest reefs is offshore at Cayo Coco, and the underwater eye candy at María la Gorda is spectacular. A visit to this lost-in-time corner of Cuba is a must for history and nature buffs. Getting to the quaint seaside town was made feasible only in the 1960s with the construction of La Farola – one of Cuba's most scenic roads. In isolation, Baracoa led a fantastical, fabled existence. The tall tales and colourful characters still remain today. This small island off the southern coast was developed exclusively for tourism and boasts Cuba's most pristine beaches. Accessible only by plane, there is an air of exclusivity to the pure white sands and shimmering cyan seas. Nature enthusiasts will delight as the beaches here are sea turtle nesting areas too. 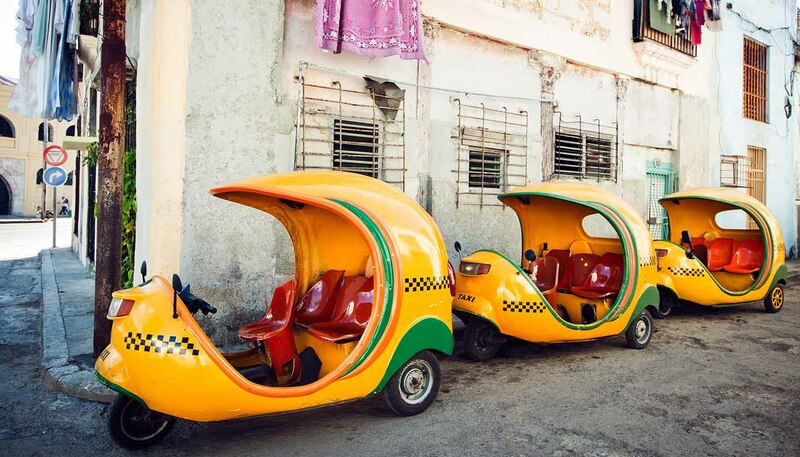 Take a tour of the Capitolio in Havana's centre. Built by a dictator to mimic Washington DC's Capitol (though the detailing on Havana's version is finer and structure taller), it housed a puppet parliament until the Revolution. Today it is home to the Cuban Academy of Sciences. Feel the history in the colonial town of Trinidad. Founded in 1514, time seemingly stood still in the late 19th century and today locals still ride horses down cobbled streets, past houses painted in pastel colours. Elegant mansions are now museums in this UNESCO World Heritage Site. Walk in the footsteps of the revolutionary army to Cuba's highest peak, Pico Turquino (1972m), in the Oriente's Sierra Maestra range. Other hiking gems include the Sierra del Rosario and Viñales areas of Pinar del Río province, around Baracoa in Guantánamo and the peaceful peaks above the Embalse Hanabanilla reservoir. Visit revolutionary Santa Clara, and the monument, museum and mausoleum of Ché Guevara. His body was only returned from Bolivia in 1997, 30 years after his capture and execution. In 1959, he and 300 rebels defeated 3,000 of Batista's troops here, leading to the dictator's flight just days later.